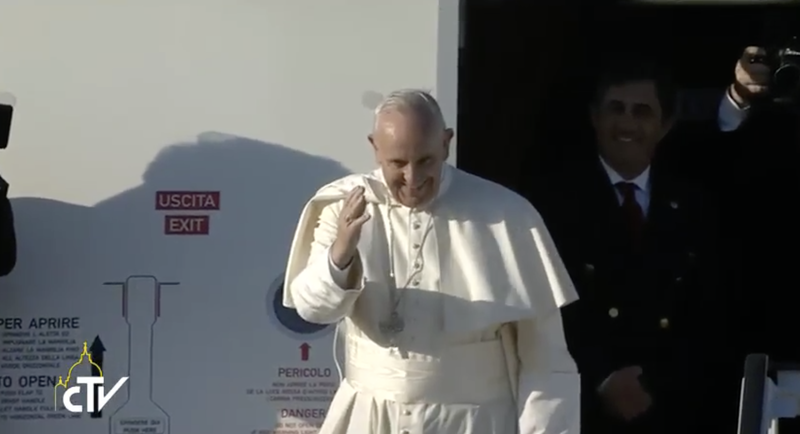 The Holy See delegation, which over the last four days assessed the places that will gather thousands if not millions of people for Pope Francis’ public events, concluded its work in Chile on Wednesday. The Holy Father will visit the Andean country from January 15-18, and will then go to Peru, where he will stay until January 21, when he will return to Rome. In Chile, the Pope will visit the cities of Santiago, the capital; Temuco, in the center-south of the country, and Iquique in the North, close to the borders with Peru and Bolivia. He will celebrate Mass in each city with the participation of thousands of people. Planned in Santiago is a mass event. The possible places where it will be held are O’Higgins Park, the Jockey Club and the Ciudad Parque Bicentenario (former Aerodrome of Cerrillos). O’Higgins Park was used in 1987 by Saint John Paul II, when he beatified Teresa of the Andes. What the organizers are identifying are ample places of easy access, which facilitate the installation of appropriate security structures for the safety of the Holy Father. The Vatican delegation included six experts. Domenico Giani, Inspector General of the Vatican’s Gendarmerie, headed the group. They also visited the votive church of Maipu and Santiago’s Cathedral. The definitive program is yet to be published, but the Pope might visit the Little Cotolengo for abandoned children in Cerillos. Close to it is the 245-hectare Ciudad Parque Bicentenario, where previously the Aerodrome of Cerillos was located. The days of the Pope’s visit have been confirmed, but the program is still being elaborated.